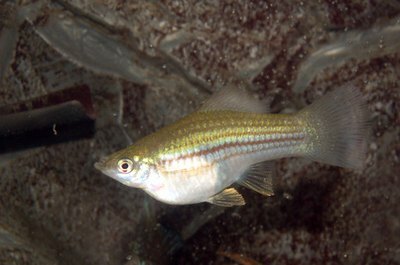 Guppies are a common aquarium pet. Guppies make engaging and entertaining pets. While they don’t live very long as a rule, they do reproduce pretty often, so you shouldn’t have any trouble keeping a group of these little charmers around all the time. Guppies live about 1 to 3 years in captivity. When you bring them home from the pet store, it’s hard to know how old they actually are, since they are typically already full-grown or close to it. Many times new guppy owners get their pets settled in, enjoy them for just a few months, and suddenly the fish die. If that happens to you, you may be wondering what you did wrong, but most likely it wasn’t your fault. Your little guppy-friend was just getting old in fishy years, and his time was up. The temperature of the water has a significant impact on the life expectancy of guppies. The optimal temperature for guppies is around 75 degrees, but they can tolerate temperatures significantly higher or lower than that. While lower temperatures tend to slow the fish down, and can eventually result in stress and possible illness, higher temperatures, around 80, provide a boost to their metabolism. Fish at these temperatures eat more and grow faster, but they also end up dying younger. 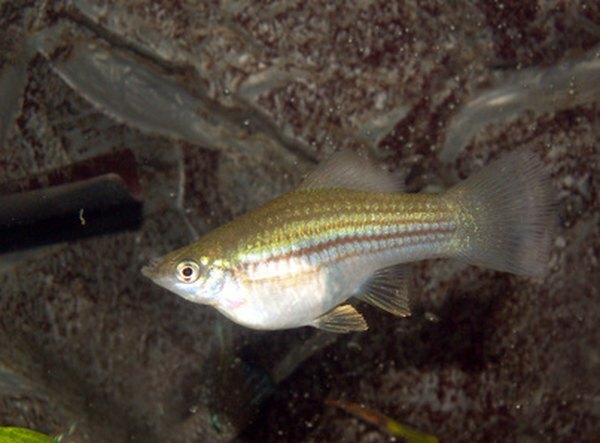 Stress can shorten the life expectancy of guppies. It’s caused by sudden changes in water temperature, poor lighting conditions, improper feeding and overcrowding. To help your guppies live as long as possible, offer them a variety of nutritious foods and avoid sudden changes in tank conditions. Don’t set the tank in direct sunlight, which may shoot the temperature up, and don’t leave it in a room where the temperature drops significantly at night, since the water temperature will drop along with it. Avoid overcrowding by limiting your tank to one fish per gallon of water. Guppies do best and live longest when they have good water quality. A filtration system is important for removing wastes on an ongoing basis, but guppies also need frequent water changes for optimal health. Replace about a third of the water in the tank each week to avoid the buildup of toxins. Guppies also like hard water with a pH around 7, and are happy with about a tablespoon of aquarium salt added for every five gallons of water. Keeping your guppy tank as close as possible to these ideal conditions will help your fish to have long, healthy lives. How Often Do Guppies Get Pregnant? When Will a Mother Guppy Stop Eating Her Fry? What Is the Reproductive Cycle of a Guppy?